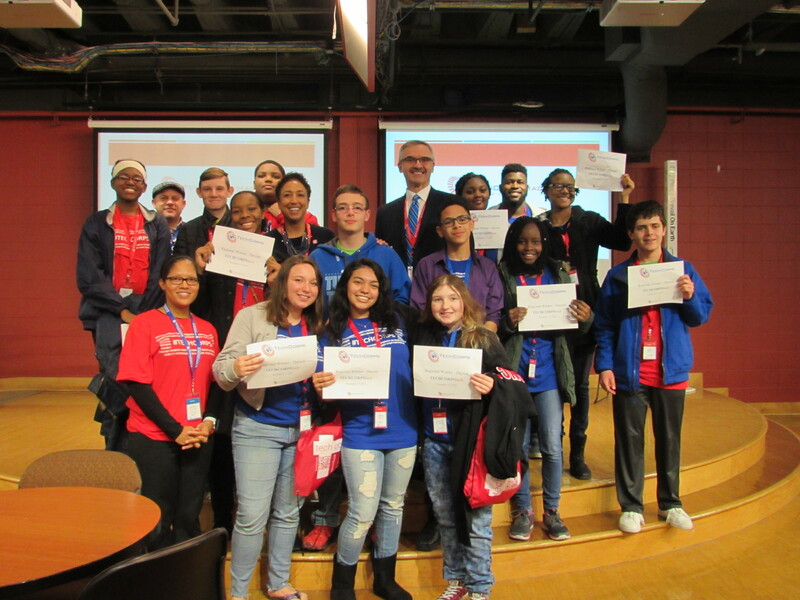 COLUMBUS, OHIO, December 4, 2018 – More than 140 high school students from Columbus, Dayton and Zanesville participated in the 2018 TECHCORPShack held on Friday, November 16 and Saturday, November 17 at Capital University (Columbus), Sinclair Community College (Dayton) and Zane State College (Zanesville). This event, sponsored by AT&T, gavethe students an opportunity to learn about computer science in a fun, engaging and inclusive environment. During the event, students learned how to use MIT App Inventor to develop a mobile app that helps to aid people and/or communities in the opioid crisis. Working in teams, students used their creativity to build apps that ranged from connecting the community to the cause to helping individuals seek an alternative to opioid prescriptions. App Description: A 3-button app that helps those who are trying to resist their drug temptation and share their success with their support group. App Description: Provides anonymous chatting between two people by sharing testimonies so people know they are not alone. App Description: Provides easy access to resources from home to be informed how to react to people during a drug overdose and be able to view helpful resource centers nearby. App Description: Connects the community to a cause and gives support to people with an addiction looking for sobriety. App Description: A resource for those seeking alternatives to opioid prescriptions that contains entertainment, information, and helpful resources to all. App Description: Targets those who use opioids and other drugs to cope with stress through education and meditation to prevent people from misusing drugs. App Description: Prevents potential addiction from a prescription narcotic.